We are proud of the great candidates we have working for us on a temporary basis. In appreciation of their continued commitment and loyalty, we offer a ‘Temp of the Month’ initiative. 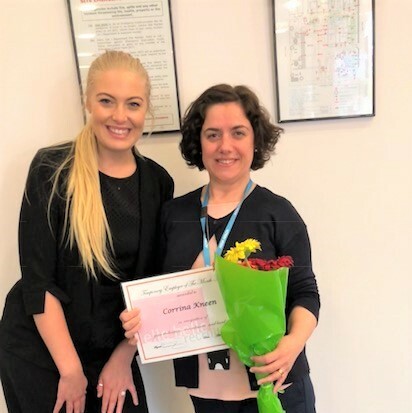 FEBRUARY 2019 TEMP OF THE MONTH! 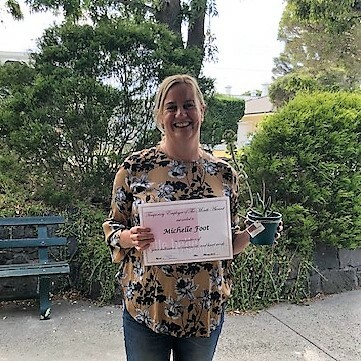 Our February temp of the month has been awarded to Michelle. She has been temping with us for the last couple months and her assignment has even been extended. We have received very positive feedback from our client and appreciate her hard work and dedication. 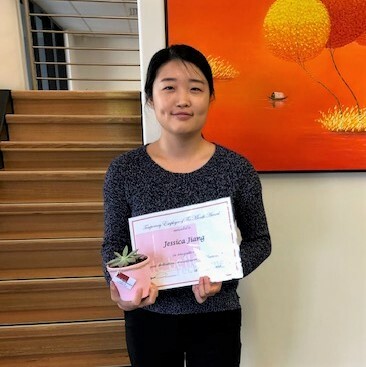 JANUARY 2019 TEMP OF THE MONTH! 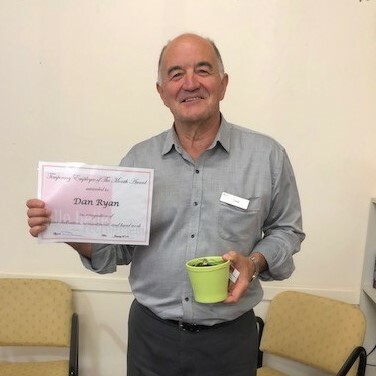 Our first Temp of The Month of 2019 goes to Dan for being so flexible and accommodating to our client’s needs. Dan is in his second temporary assignment with us and we have had wonderful feedback from our clients. Congratulations and thank you Dan! DECEMBER 2018 TEMPS OF THE MONTH! 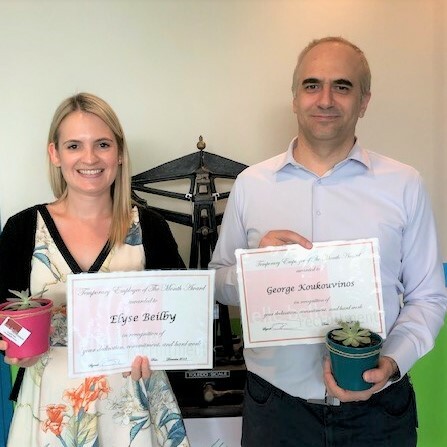 Our December temps of the month have been awarded to Elyse and George! Feedback from our client has been great and we appreciate all of their hard work and dedication throughout their assignment. Thank you Elyse and George! NOVEMBER 2018 TEMP OF THE MONTH! 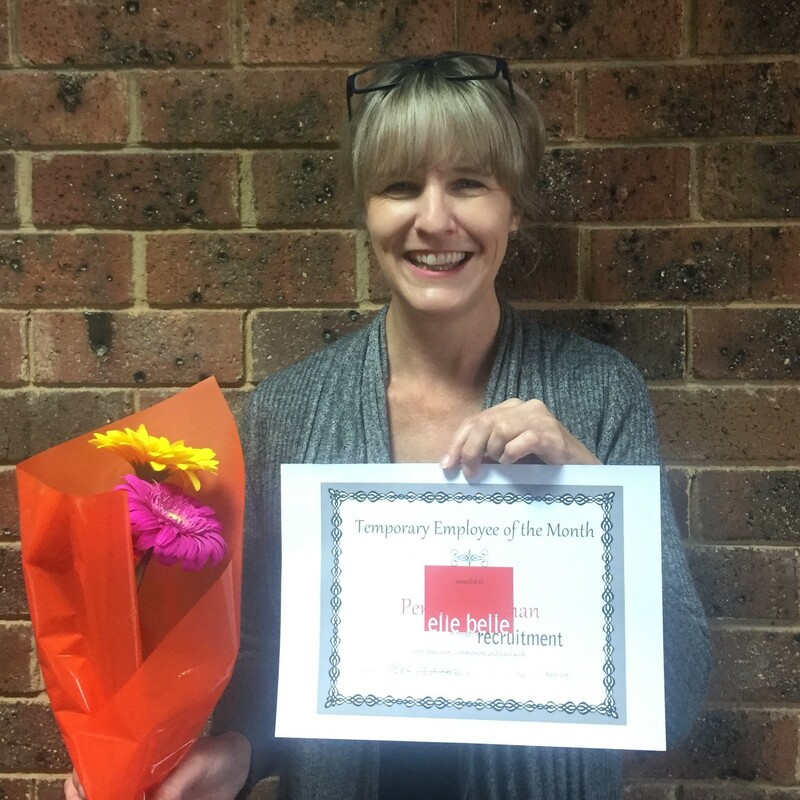 Our November temp of the month has been awarded to Jessica for her hard work with one of our clients over the last couple months. We have received positive feedback and appreciate her dedication to her assignment. OCTOBER 2018 TEMP OF THE MONTH! Our October temp of the month has been awarded to Chris for her dedication and strong work ethic over the last couple months. The feedback from one of our respected clients has been very positive. SEMPTEMBER 2018 TEMP OF THE MONTH! Our second temp of the month for September has been awarded to Louise! Feedback from our client has been fantastic and we appreciate her dedication and hard work throughout this assignment. 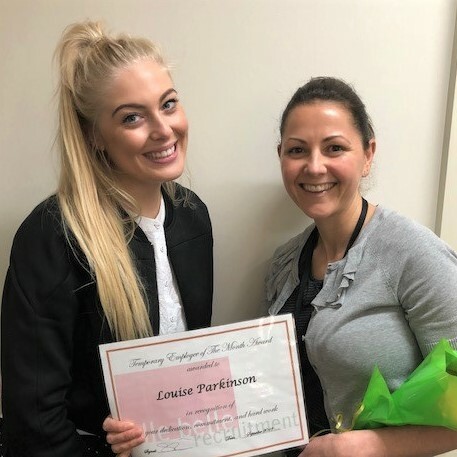 Keep up the great work Louise! Congratulations to Corrina for being awarded our first September temp of the month! 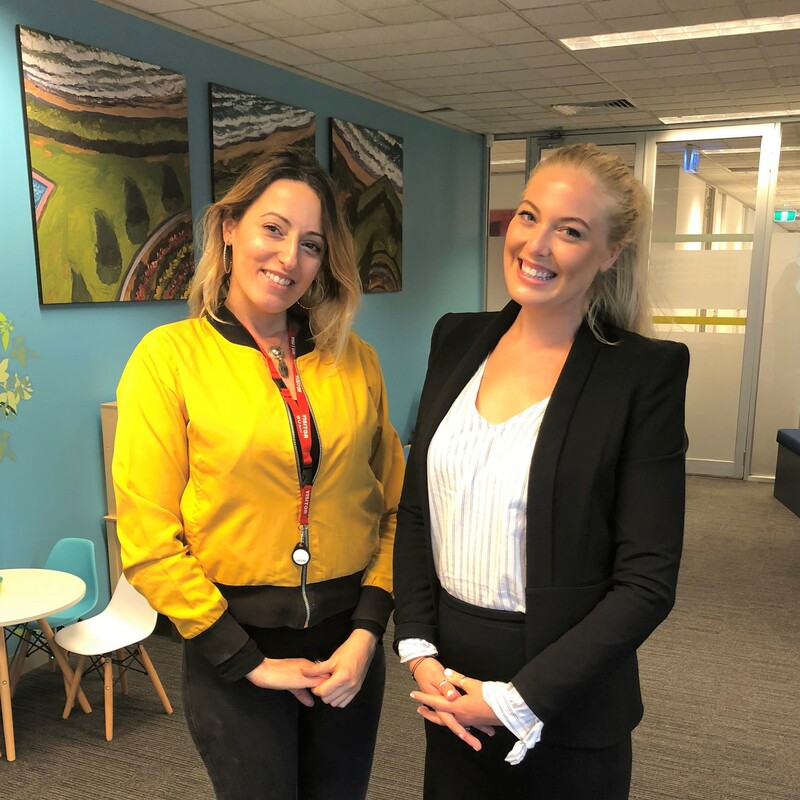 Corrina has been temping with our client since June. 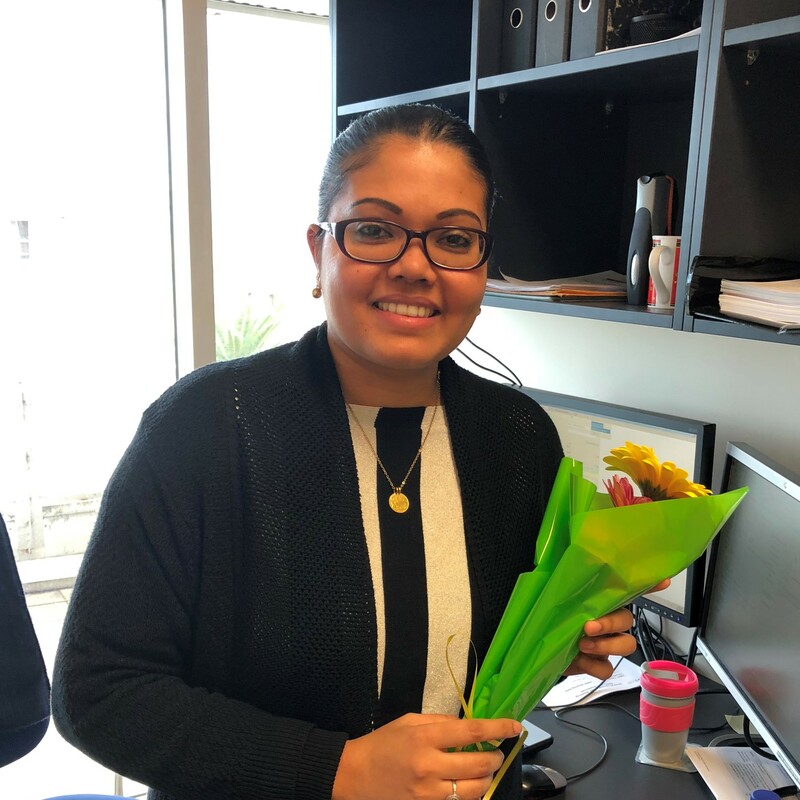 We appreciate her commitment and hard work in her ongoing temporary position with one of our respected clients. AUGUST 2018 TEMP OF THE MONTH! Our August Temp of the Month has been awarded to Maya for being so flexible and committed to our client’s needs. We have had wonderful feedback from our client and appreciate all her hard work. JULY 2018 TEMP OF THE MONTH! Our July Temp of the Month has been awarded to Kaushika, we are presenting her with temp of the month for her great work and willingness to help. We have received great feedback from our client. JUNE 2018 TEMP OF THE MONTH! 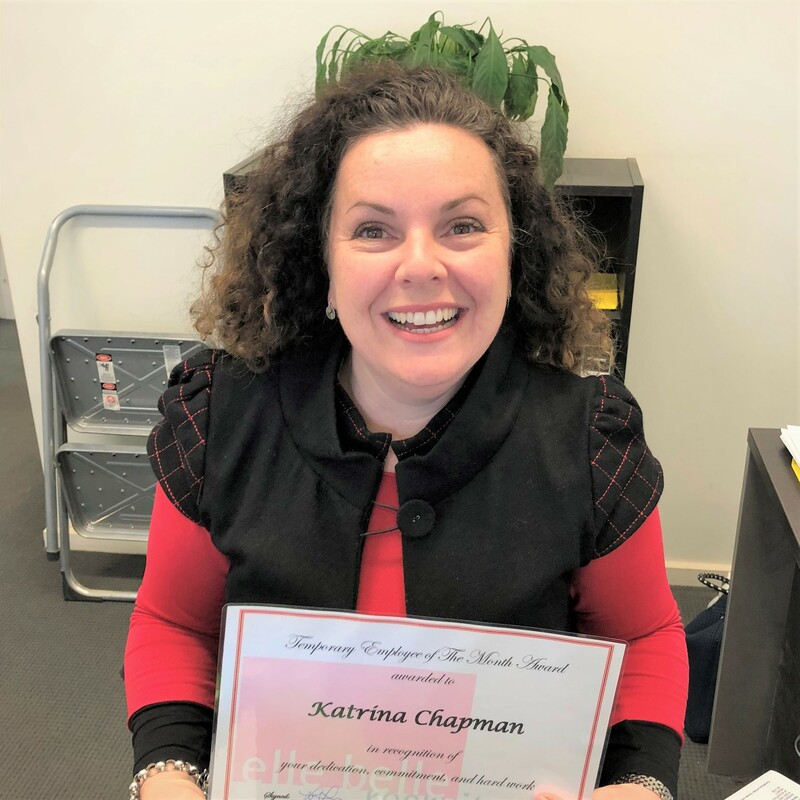 Our June Temp of the Month has been awarded to Katrina, we appreciate her willingness to help one of our respected clients and have received wonderful feedback from our client so far. Thank you for all your hard work Katrina! MAY 2018 TEMP OF THE MONTH! 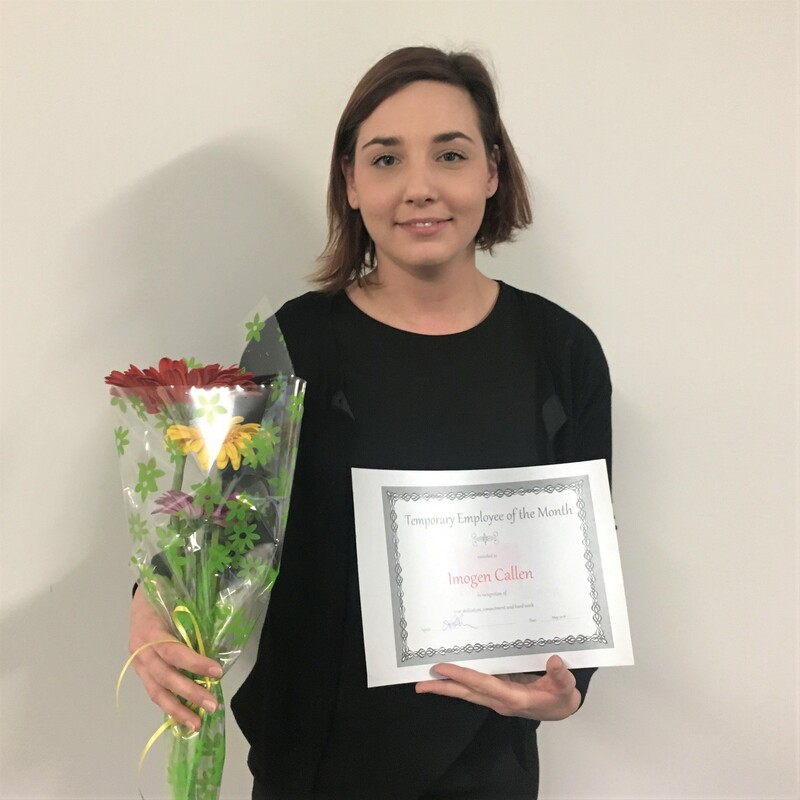 Our May Temp of the Month has been awarded to Imogen, she has been temping with the same client for quite some time now and we appreciate her continued dedication and hard work. Thank you for all your hard work Imogen! APRIL 2018 TEMP OF THE MONTH! 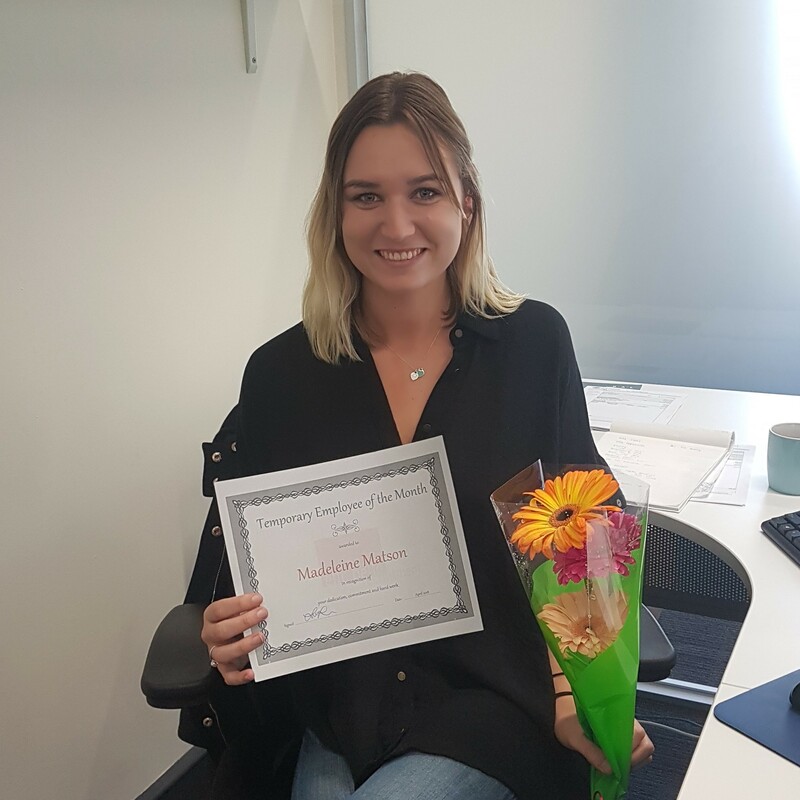 Our April Temp of the Month has been awarded to Madeleine, she has been temping with us for a couple months and the feedback from our client has been amazing. Thank you for all your hard work Madeleine! MARCH 2018 TEMP OF THE MONTH! 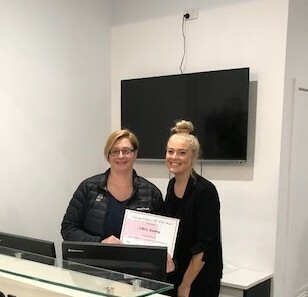 Our March Temp of the Month has been awarded to Penny, she has been temping with us for the last month and we have had nothing but fantastic feedback. Thank you for all your hard work Penny!